Pat Dye always called him a thoroughbred. Had things gone differently, we might have called him a Stallion. But the main takeaway from the reports on this forgotten story line in the Which Way, Bo? 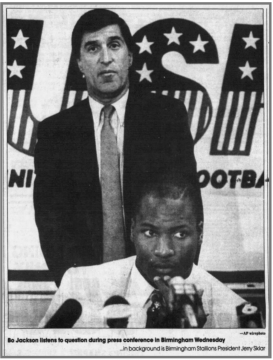 chronicles is that The Greatest was simply humoring the USFL, just for kicks. The man just liked options. He liked doors. And, nice guy that he was, he didn’t want anyone to feel excluded from the daydream of what he might bring to their organization, especially one that was helping out the hometown. Bo in Birmingham? 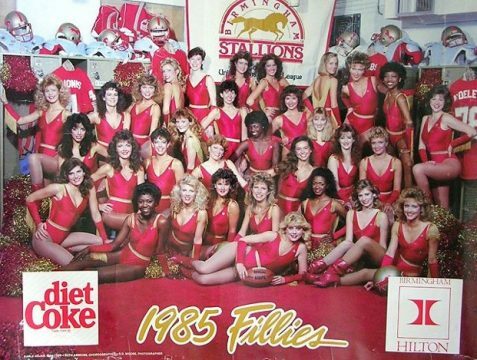 That probably would have turned Stallions’ games into the leagues best-attended by a mile. Then Bo started talking about the produce aisle.